Re-introducing a new/old/renamed segment, formerly known (one time only) as Hookin’ at the Movies, now known as Movie Still Monday! This way, if I call it “Movie Still Monday” I figure I’ll be forced to keep up with it on a weekly basis, or at least until I run out of stills. 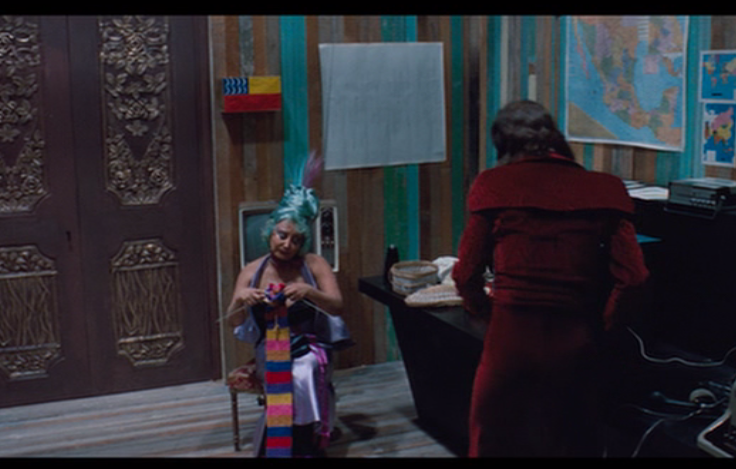 Looks like she’s knitting, huh? Maybe a scarf? 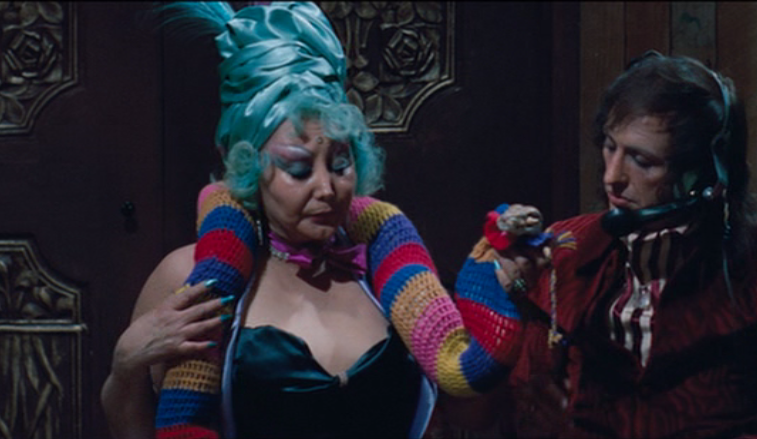 Wait… that scarf looks a lot like a snake cozy. And that knitting looks a lot like CROCHET! Oh well, that’s magical realism for you. This entry was posted on June 24, 2013 by croshame. It was filed under Movie Still Monday .